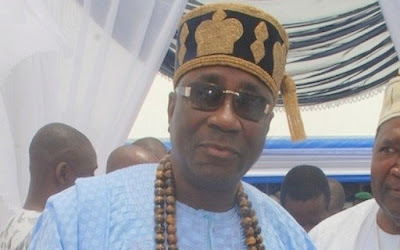 The Oba of Lagos, Oba Akiolu 1, has said that God will not allow any other party to take over governance in the state in the forthcoming general elections apart from the All Progressives Congress (APC). Oba Akiolu stated this in his remark yesterday at the 11th Annual Hijrah Lecture and inauguration of the new House of Assembly Mosque at the Assembly complex yesterday. The new mosque, he said, is unique especially as it is built inside the Assembly complex where bills are passed into laws. The Oba also pointed out that it is not enough to build mosque but that the custodians of the mosque should be properly taken care of. He also advised the custodians not to do or be involved in anything that would tarnish the image of the religion. » Oba Of Lagos VS Ooni Of Ife - "Oba Is Trying To Bring Back The Culturally Acclaimed Way Of Greeting"